One of the pleasures of regular film going is seeing a favorite actor or actress in a striking cameo or supporting role. Such appearances add immeasurably to the mix of a great film and can salvage or redeem fare one might dismiss or simply forget. 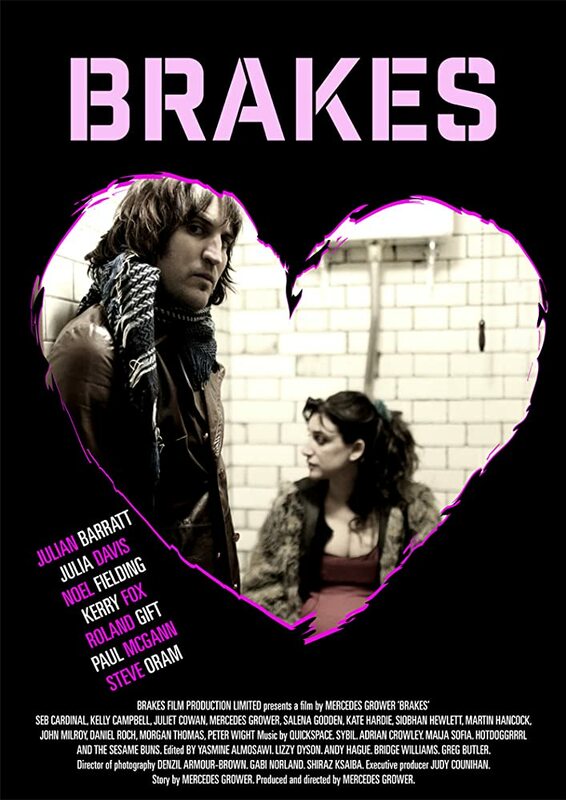 Brakes, the self-produced directorial debut of Mercedes Grower, who has appeared in films like Sixteen and Revolver as well as TV series like Nathan Barley, is a look at love that brings a variety of familiar talents to the foreground. Structured around the painful moments when a lover must deal with either being dumped or being the bearer of bad news, a versatile cast including Grower herself play couples on the verge of poignant break-ups. Shot around familiar London locales like Soho, The Groucho Club, The British Library, The National Theatre and Baker Street, the filmmaking has a raw cinema verite quality that captures the mercurial nature of passion and romance in its dying moments. The results are not always consistent as the script feels very much like a collaboration between the actors and Grower as writer/director/ringleader. The limits of improvisation feel most evident in the scenes where the backstory feels generic such as the builder (John Milroy) who gets dumped by a woman (Siobhan Hewlett) with a chic media job – the class tension feels unearned. Nor does another vignette about a woman who is fallen out of love with a once charming alcoholic offer much beyond a set-up. The best storylines are those which make you want to see a film just based on that couple. 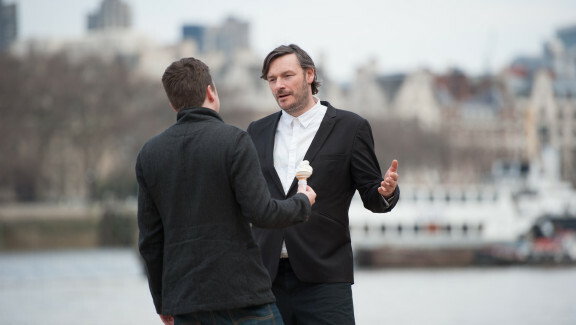 Julian Barret’s incarnation as a stalker-like man in love with a married man (Oliver Maltham) he met in Barcelona conveys volumes about the mad logic of infatuation. In a tale of an aging film director (Peter Wight) and his younger actress girlfriend (Julia Davis), both actors bring empathy and wit. Their story feels especially real when a fellow actor (Seb Cardinal) rehearsing lines with the Davis character discovers, to his embarrassment, that he is being both flirted with and manipulated to make the director jealous. Brakes benefits from a narrative twist in its last half in which we see the “meet cute” moments when the couples are caught up in the warm, rosy rush of chance meetings, flirtation and instant chemistry. These flashbacks are all too poignant, particularly when we see one couple (Kerry Fox and Roland Gift) happy and smiling during a sun kissed encounter near St Pancras, knowing all too well that they become unhappy prisoners in a shared luxury flat. Their irreconcilable differences blinding them to their comfort and privilege. Grower’s debut is full of promise and a genuine desire to portray love in London with both its capacity for piercing heartbreak and l’amour fou . It is also a film for those who just want to watch actors do what they do best – bring that extra reality that makes us connect as viewers. Brakes is being shown at screenings around the UK over the coming weeks and one hopes that it creates enough momentum to give Grower another chance behind as well as in front of the camera.